The Lounge- A Forum of Coordinators, is a three day residential programme organised exclusively for Coordinators of ACT associate institutions has been instrumental in developing their professional competencies. In a short span of three years, it has not only inspired the Coordinators to enhance their administrative skills and develop a strong network of peers thus building a learning community. The leadership skills of the Coordinators was the main focus this year with a special emphasis on how to assist the Principals in monitoring the academic progress in schools and professional development of teachers. 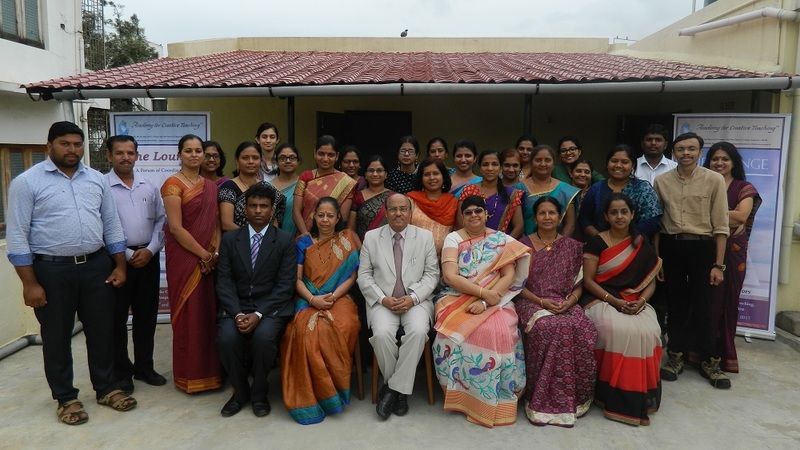 4th annual programme Lounge-2017 was held at ACT office Bangalore on 13th, 14th and 15th of July 2017, The programme was on ” Supportive Leadership ” for the Academic Coordinator and Head of the departments. The aim of the programme was to enhance the academic competency, professional aptitude and leadership skills. Enhance the emotional and professional competency of the Academic Coordinators. Analyze ways to enhance life-long learning among all stake holders. Appreciate significance of maintaining high academic standards in school. Realize the tenets of high performing teams. We are – a unique institution for teacher training and educational consultancy. Please call us OR send email. © Academy for Creative Teaching 2018 - All rights reserved.